Tree risk assessments need to be done regularly in the Staunton, VA area because of the wide range of seasons that we face. With each season, there are new problems that your trees face. Getting a risk assessment done is a way to take some of the stress off of you, especially when you know that storms are coming your way. As an added bonus, it is a way to prevent having future (much larger) bills to get things repaired – like your house or your car. A Staunton Tree Service, we have all of the equipment, certifications, qualifications, and insurances that enable us to fully assess your tree. Do not put the health of your tree or the health of your family at risk, give us a call and we will schedule you for a tree risk assessment. Use the form below to request a free estimate on your Tree Risk Assessment needs in the Staunton, VA area. Trees can be really risky, that isn’t new information for anyone that has filled out a home insurance form. Peace of mind and stability will be the best things you get out of a tree risk assessment. Most people only get them after they realize that something isn’t quite right, things like the tree isn’t growing correctly, there is damage to the tree, it isn’t growing properly, or is becomes discolored. Getting a tree risk assessment is also a great way to go about having lower home insurance as well. It can help improve your selling costs, if you are looking to move. The only way to really know what is going on with your trees is to get a professional tree service company to look over them from root to tip of the branches. We will analyze your trees and if anything comes up, we are then able to take actions to remove the risk. In many cases, we are able to save your tree. Tree risk assessment isn’t something that is going to break the bank, instead it is designed to save you money on future costs that could be avoided. However, as we assess your trees, we aren’t just using our eyes. We have to use different pieces of equipment to really get a good read on your trees. Your individual cost will depend on a few different things, including how many trees you have, what tools we need to use, and then the repairing costs, if you choose to go down that road. However, if you call us today, we are able to give you a free estimate for the risk assessment portion. Tree risk assessment isn’t just a good thing to do, in many cases, it is an absolutely vital thing to do. 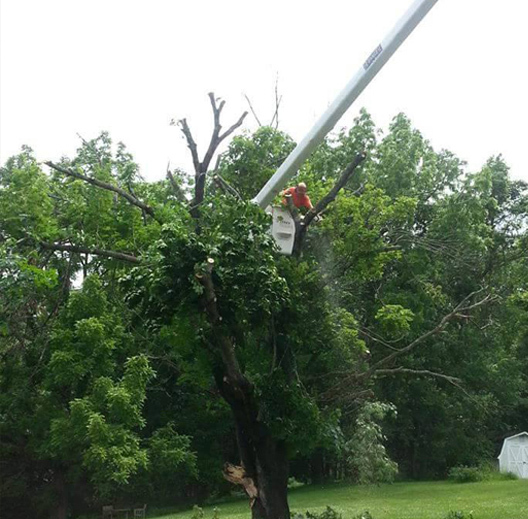 At Staunton Tree Service, we want to help you stay as safe as possible. Whether that means we give you an all clear, or we do more work on your yard, we help to ensure that any obvious risk is gone.